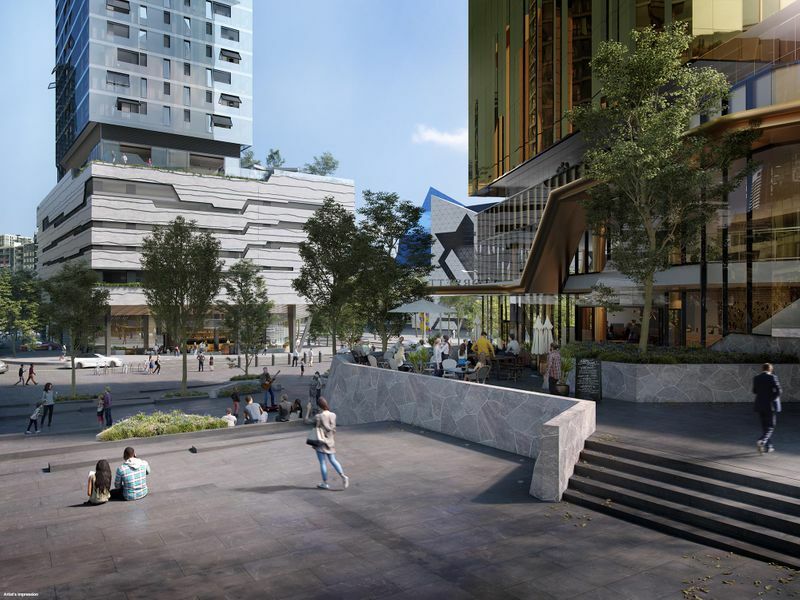 Located in the heart of Perth City Link, Perth Hub will fuse old and new by connecting the vibrant Northbridge nightlife precinct with Perth’s bustling CBD for the first time in 100 years. 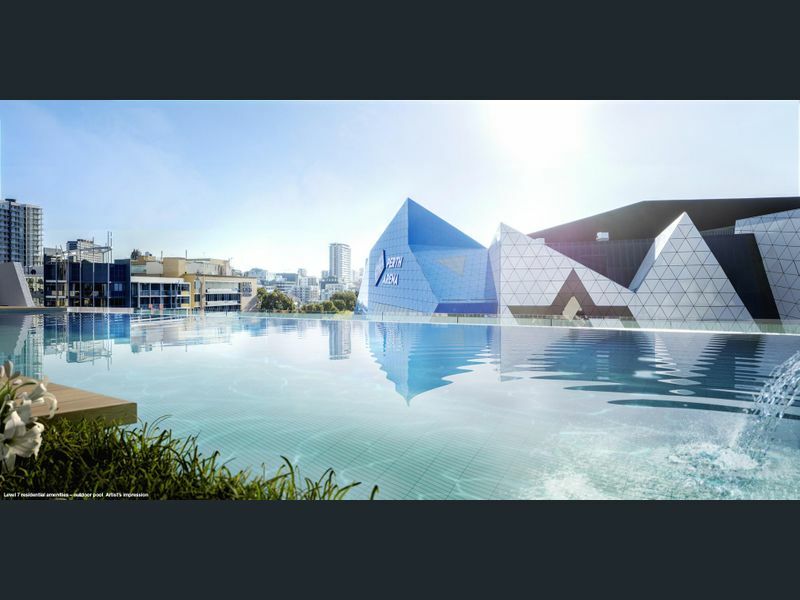 The area will be transformed into an exciting entertainment destination with a host of shops, restaurants, cafes, bars, arts and cultural attractions and a world-class stadium, all located within walking distance. 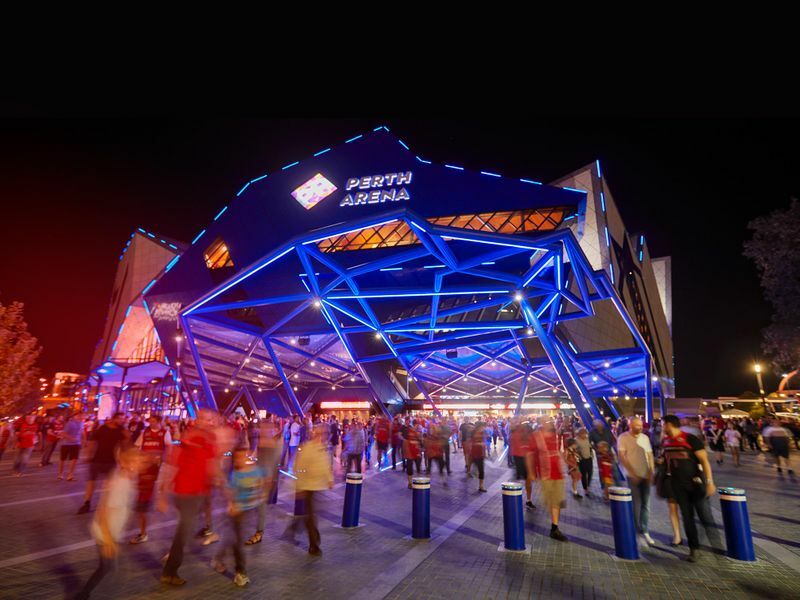 The underground busport and Perth Central Train Station will connect the Perth Hub precinct to the whole of Perth, including universities, shopping centres, iconic beaches, and a future direct link to Perth International Airport. 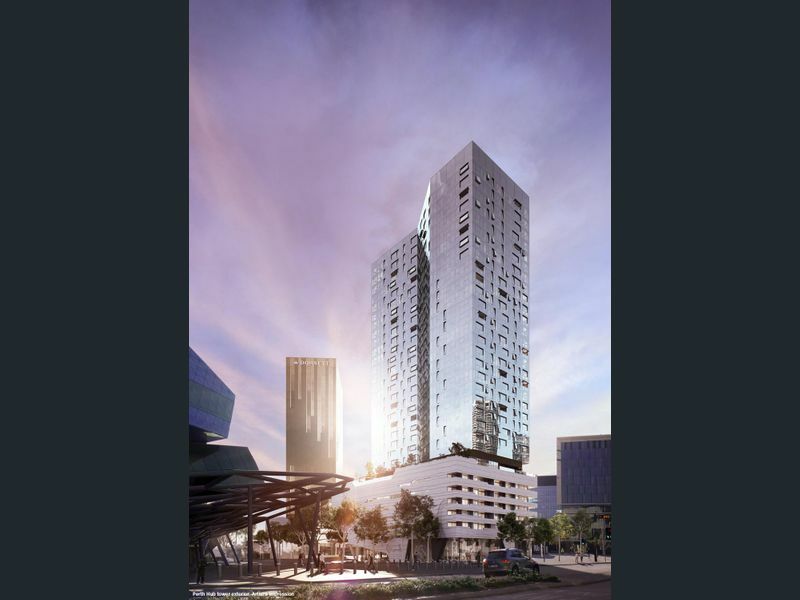 Offering 1, 2 and 3-bedroom apartments, the Perth Hub tower will soar 30-storeys to make it one of Perth’s tallest residential buildings. It will stand proudly next to the 263 room 4.5 star Dorsett Hotel. 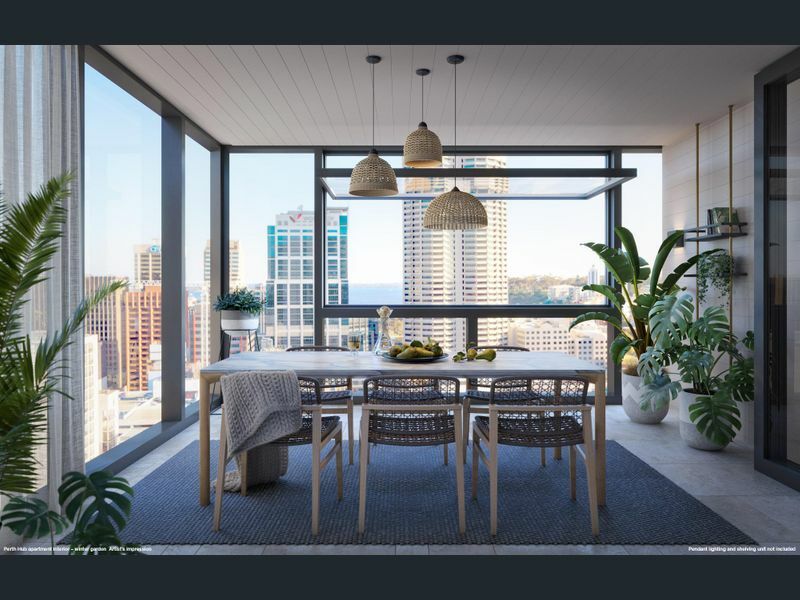 A Level 7 skygarden will transport residents into a sublime city resort setting, with approximately 1400sqm of amenities overlooking RAC Arena, Milligan Steps and the city skyline. 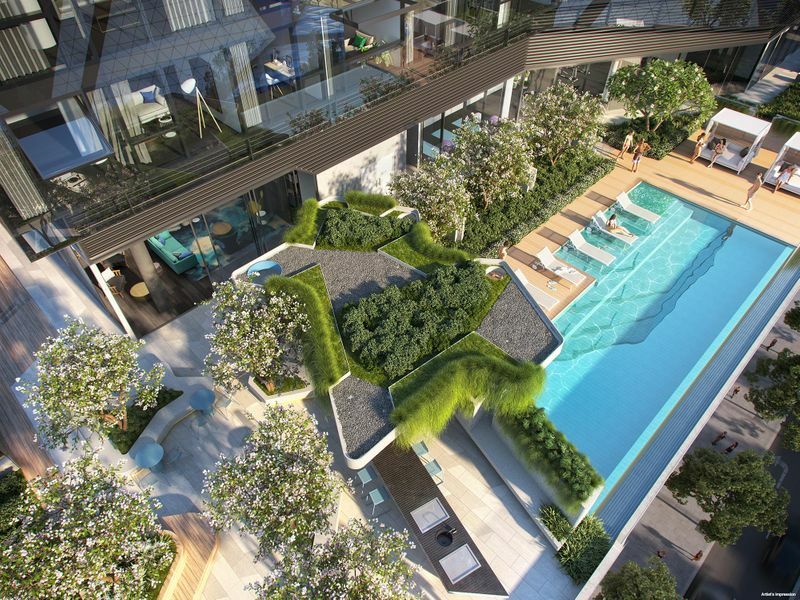 An outdoor pool, residents’ lounge, private dining room, gymnasium, yoga & pilates room, BBQ pavilion, communal orchard and herb garden are all here. 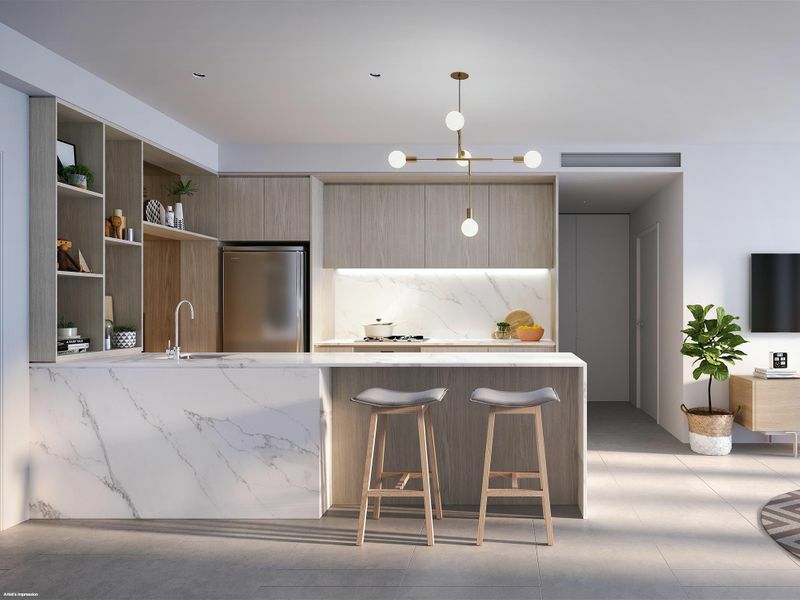 Each apartment will enjoy floor to ceiling windows for light-filled spaces, most with views across Northbridge, RAC Arena, and Perth's CBD. Glimpses of the Swan River and Kings Park can also be enjoyed by some.